The 2018 Lincoln Navigator, has been completely redesigned in 2018 much to the joy of many drivers in Scranton, Clarks Summit, Pittston, Wilkes-Barre, Philadelphia and beyond. The Lincoln Navigator is a world-class large luxury SUV. Families looking for a luxurious, reliable, and large luxury SUV at a great price point in regards to features available should consider the fully-redesigned Lincoln Navigator on their shopping list. It's a great choice versus the competition like the 2018 Mercedes Benz GLS and 2018 Cadillac Escalade. The 2018 Lincoln Navigator is a beautifully and luxuriously designed large SUV that commands respect on the road. The ride is extremely comfortable in all kinds of road conditions due to the adaptive suspension system and the lighter aluminum-alloy body frame. 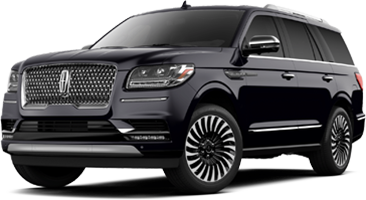 Laminated windows and a noise cancelling system are factors among others explaining the cabin being so quiet when taking the Lincoln Navigator on your journeys. 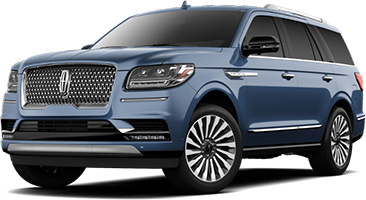 The different trims available for the 2018 Lincoln Navigator include: Navigator Premiere, Select, Reserve and the upscale Lincoln Black Label presented in multiple interior themes such as the Chalet, Destination, and Yacht Club. The vehicle shown in any lot or driveway has posture and is just pleasing to look at in any of the available stunning exterior, especially in black. Drivers of Scranton, Wilkes-Barre, Dunmore, Hazelton, Mountain Top and Pittston, PA can come test-drive the completely redesigned 2018 Lincoln Navigator at Coccia Lincoln, our Scranton Lincoln dealership today. The 2018 Lincoln Navigator seats 7 or 8 adults comfortably with excellent leg room in the second and third row and plenty of cargo space left for a full load. The seats are very comfortable and a massage function is available in the Lincoln Black Label trim. The cabin can be configured in multiple ways for extra-large cargo space with the second-row seats able to tilt and slide and the third-row seats able to recline with one power touch. High-class materials are found everywhere in the cabin and it is considered as one of the most luxurious ones among SUVs. There is a high level of craftsmanship and sophistication found in the roomy interior such as an electrochromic rearview mirror, leather seats in all 3 rows, all-weather liners, front, rear and third-row cup holders, and an overhead console with storage. There is a long list of standard features designed for your comfort in the 2018 Lincoln Navigator. They include tri-zone climate controls, adjustable pedals, a leather-wrapped steering wheel and leather heated front and rear seats. Also standard is a remote engine start, a hands-free and power liftgate, and more. Available premium features include heated steering wheels, heads-up display, and adaptive cruise control. The Navigator features a state-of-the-art infotainment system with a premium 20-speaker surround-sound audio system. The available rear entertainment system features 2 separate screens on the back of the front headrests with HDMI and SD inputs. Smartphone integration with Android Auto™ and Apple CarPlay™ are standard. Additional standard technologies also include: rear seats audio controls, a Wi-Fi hotspot, auxiliary audio input, and 6 quick-charging 2.5-amp USB ports. Come test-drive the newly redesigned 2018 Lincoln Navigator today at our Scranton car dealership. With a muscular 3.5L twin turbo V6 engine producing 450 horsepower, the 2018 Lincoln Navigator is agile and responsive to acceleration for a vehicle of its class. The Navigator is capable of towing up to 8,700 pounds with the proper equipment installed. The Lincoln Navigator is more fuel efficient (EPA-estimated 16 MPG in the city and 23 MPG on the highway) than most competitors in its class. The Navigator has the advantage of using regular gasoline versus premium gasoline required by other competitors such as the Cadillac Escalade or Mercedes-Benz GLS. Come experience the fully-redesigned 2018 Lincoln Navigator today at Coccia Lincoln! The 2018 Lincoln Navigator takes your safety and the safety of those you share the road with seriously by featuring a number of driver-assist technologies. For your safety, the Lincoln Navigator offers 6 different driving modes for all kinds of road conditions. Standard safety features in the 2018 Lincoln Navigator include: a backup camera, Anti-Theft Alarm System, Daytime Running Lights, Rain Sensing Wipers and Brake Assist. Lane Departure Warning and Intervention as well as a 360-Degree Camera System are premium features available for the Lincoln Black Label trim. Drivers in Scranton, Wilkes-Barre, Hazelton, Dallas, Pittston and Philadelphia, PA can come experience the redesigned 2018 Lincoln Navigator at our Scranton Lincoln dealership today. Visit us now at Coccia Lincoln in Wilkes-Barre for more information and materials on the 2018 Lincoln Navigator.